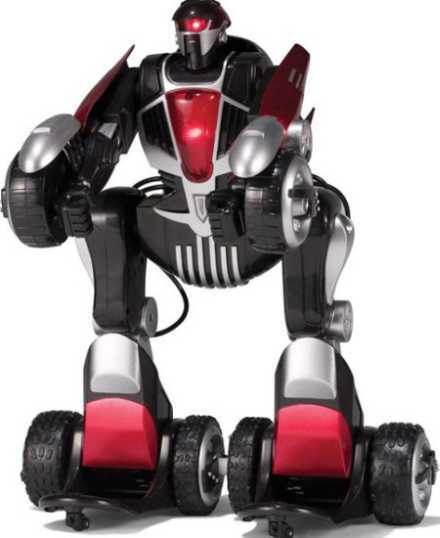 When it comes to playing games, remote control cars are something which always strikes my mind instantly. Although model cars were first released during 1940s, it wasn’t till the late 60’s and 70’s that they really got the worth they deserved. I still remember those weekend car races our entire friend circle used to have when a British company named Mardave had released their RC cars. I still have a killer time with my kids and their advanced RC cars. Here is the latest one whose construction has been influenced from those Transformer movie characters. 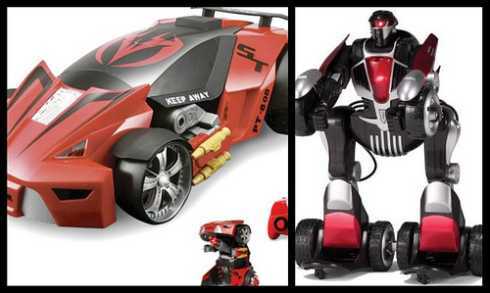 This is the killer “Remote Controlled Transforming Robot Car”. When I saw this car for the first time, it instantly won my appreciation. Actually it was its looks which had captured my sight instantly but its functioning was just impeccable. It’s not only the pick up and speed but the way it transforms and still moves just perfectly. When you press the button, the transformation takes place from the hood while its front tires instantly raise approximately 10” from the ground. This transformation reveals its fearful cannon which have been fitted into its ventral part. 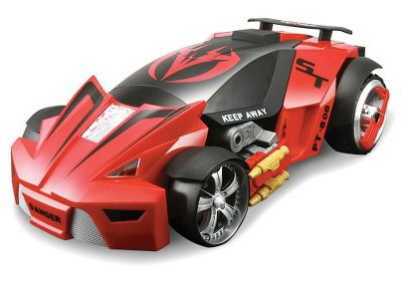 It can fire up to five suction cup darts instantly while the car races forward and backward. The car’s flexibility allows it to move instantly in any direction and even perform 360° degree spins. The remote control provides three different channels which allow car battles where up to three cars can participate. Coming with eight suction cup darts, this game can be quite hazardous for kids below the age of 8. With a price tag of $69.95 , it boasts to be a perfect gift of kids. The other interesting gadgets like G182 Robot Vacuum Cleaner and Safedriver Wireless vehicle Monitor, which are real smarts you should see to have an idea.